Software 13 Best Ubuntu Web Browsers: Which One is Right for You? Who doesn’t know about web browsers in this advanced modern technology? I know all of you are aware of it but let me inform you in brief about that. Here we are going to give focus to a list of Best Ubuntu web browsers that allowed you help to choose the fastest and lightest one for the Ubuntu system. To make your task more comfortable, we have narrowed down the list of it. In this article, we will describe the best 13 Ubuntu web browsers to surf the web with comfort. Let’s have a close look at it. Here I will discuss a well-researched comprehensive list of Linux Web Browsers that may appear attractive for you. This Ubuntu Web Browsers list is not any specific order. This article helps you to get known about various web browser that available for Ubuntu Linux. 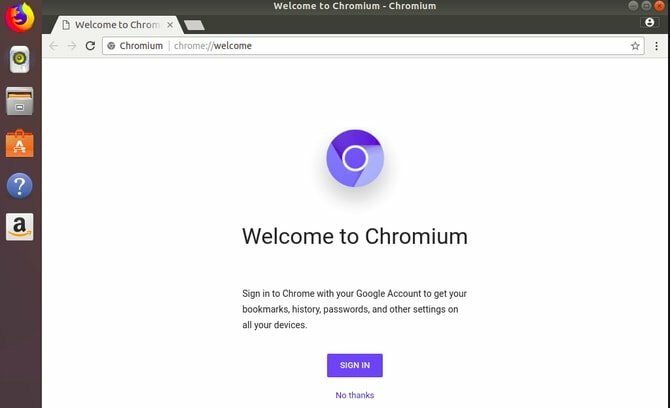 Chromium is a widely used web browser application that you have ever used. It has fantastic features such as a tabbed window, Theora, different WebM codes for the latest audio and video of HTML5 including useful bookmarks. Google chrome is also a favorite Ubuntu browser that supports both in PC and smartphones. It has nice featuring of wonderful bookmarking and synchronization. Google Chrome is a closed source web browser based on open source Chromium which is also backed by Google Inc. Both the web browsers come with malware blocking that ultimately ensures personal information security. Moreover, there are lots of plugins in the chrome store which eventually let you increase the functionality of the browser in the Linux system. Users always choose this one than any other web browser in the market. This is one of the best Ubuntu web browsers available in the Linux world. Firefox is another Best Browser For Linux. This is available for some main operating system such as Linux, Windows, Androids and OS X. This Linux browser features with tabbed browsing, spelling check, private surfing on the internet, etc. Moreover, it widely supports XML, XHTML, and HTML4 etc. Midori is widely used as a default browser for many Linux distros, especially for lightweight Linux distributions. The key features of it incorporate HTML5, Private browsing, speed dialing, proper management of tabs and sessions as well. This established web browser has been written in C++. It supports in Windows, Linux, MacOS, and also in Android phones. It widely includes maximum tabbed cycling, Speed- dial, Unlimited VPN service and Ad block as well as opera turbo for faster surfing. 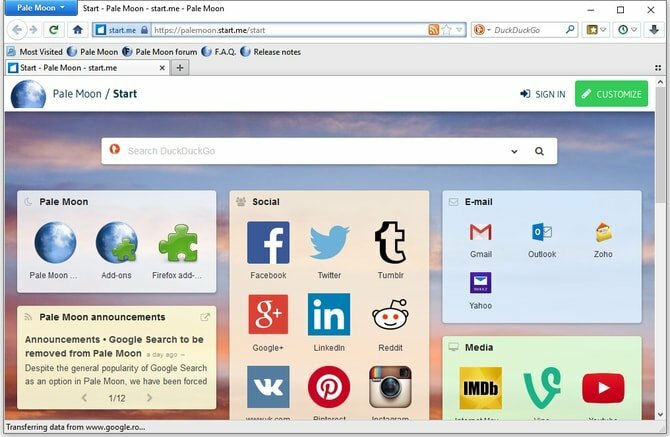 You can comfortably install this Ubuntu browser for the convenient use. 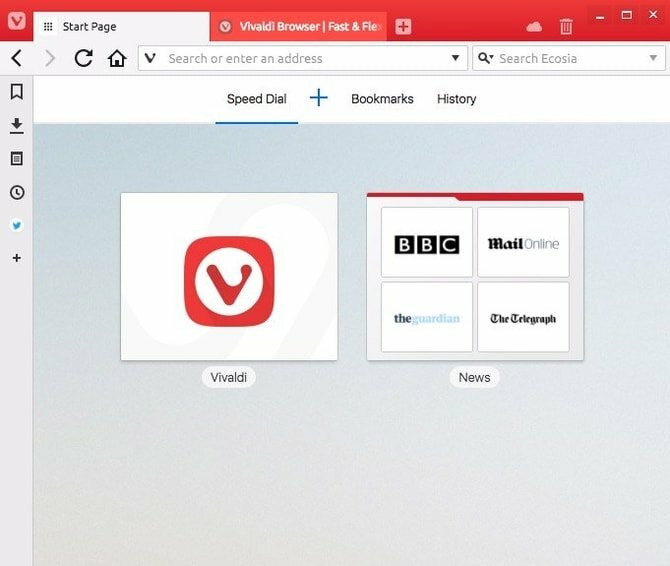 Vivaldi developers introduced this new browser to the modern world in 2016. The ultimate goal of this Linux web browser is to provide the fastest browsing experience including the contemporary features like quick commands, Nice tab management, etc. The web developers use HTML5 and node.js in it. Blink layout engine has been used here. It allures you to choose a theme and appear thumbnails for every site you are likely to operate. 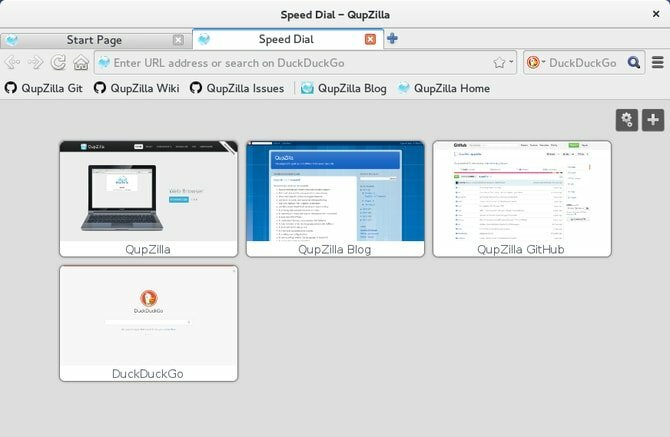 If you are looking for a browser that feels ease with KDE application, then Qupzilla should be the right choice for you. It initiated the Journey as a research project in 2010. The functions which are much needed to present in a modern web browser. 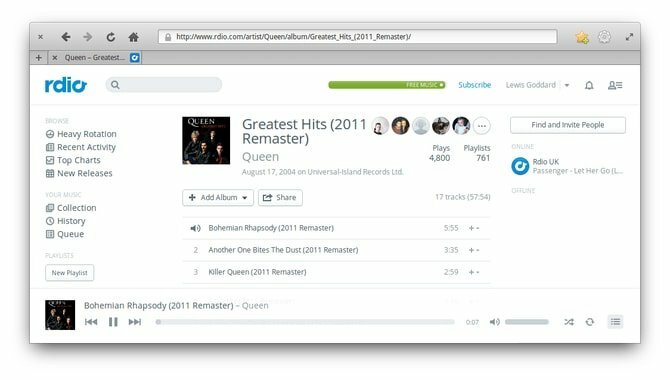 This Qt based browser shows a simple interface to the users. The most attractive feature of it is the user-friendly approach. Also, this best lightweight Linux browser provides bookmark management, speed dial, add blocks, etc. Users can suitably operate it on Linux, Windows, MacOS, and Android. It provides faster websites loading and makes you pleased with ad-less browsing experience. If you are tired of using your older browsers, Palemoon should be the excellent recommendation for you. This open-source browser mainly focuses on the efficiency and the compatibility with various Firefox extensions as well. Again, it offers excellent visual feedback with a robust and manageable configuration. 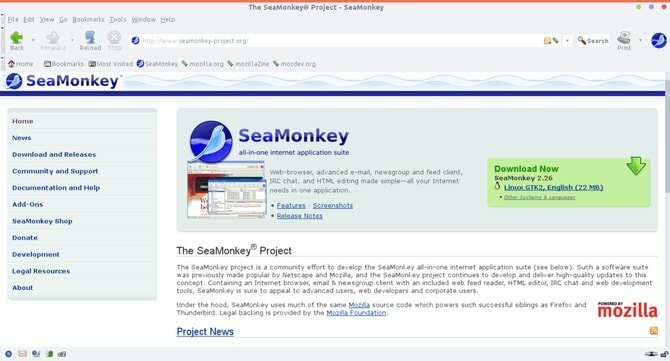 SeaMonkey has been created mainly by the Mozilla codebase. In technical growth and performance, it excels in its strategy. High speed and compatibility are to be found here with the updated version as it will use latest Mozilla code. You will find the user interface is neat and clean. You can use the features with manageable large icons. Tab management and email component are easy to handle for the users. 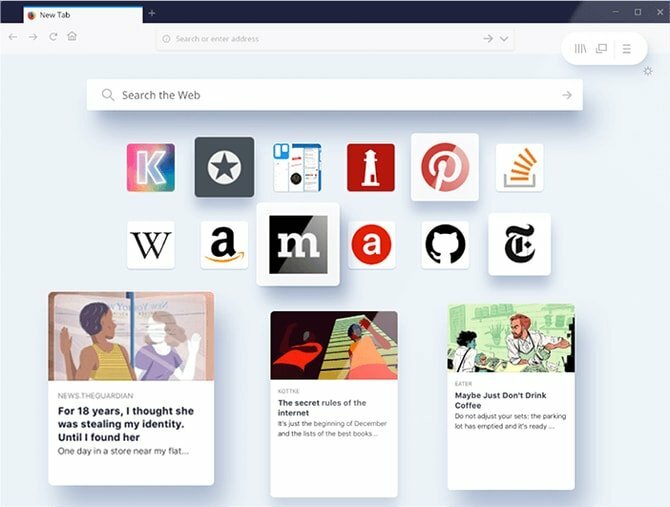 This web browser is based on Firefox that supports Linux, Windows, MacOS, and Android. This open-source browser was developed in 2011 following the Mozilla Firefox Code. It is available in XUL and XPCOM extensions too. It secures the privacy as well. 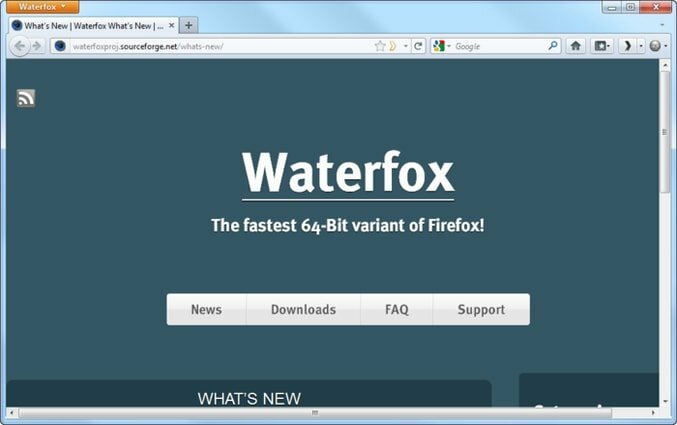 Leading streaming services such as Netflix can be suitably used with the Waterfox. GNOME community had developed this simple but powerful Ubuntu browser maintaining the standard assent. This lightweight Linux browser manages the extreme simplicity by displaying excellent designing and faster user interface to the people. This Webkit based official web browser is easy to use and offers a large scale of compelling features. Yandex is the most standout Russian web browser. It offers the latest user interface and speedy browsing experience with Blink engine. 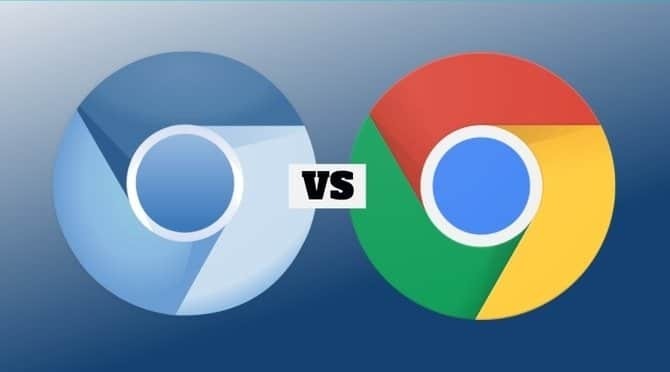 This Chromium-based web browser provides extraordinary service about quick page loading even in poor internet connection. 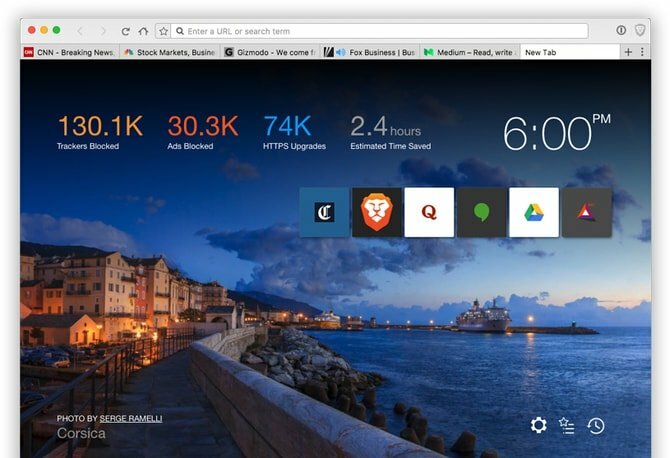 This browser is available for Linux, Windows, and iOS. Iridium is the best privacy-focused web browser for Linux. This simple Ubuntu web browser is one of the best Linux browsers which is very user-friendly and easy to operate. This Chromium-based browser widely handles complicated sites with speediness. Here we have come at the last stage of the Ubuntu web browsers list. I sincerely hope and believe that the article will help you a lot to find out the best one for you. In this list, are you missing your favorite one? Please leave your valuable feedback here in the comment section regarding the article. This will let me know about your experience through your suggestion. There are lots of web browser for accessing but generally, we haven’t a proper idea which we have to choose. After reading your article I get some useful information. To JRichard, Ricossa, David who support Slimjet, Opera, Yandex: you are standing completely naked in the middle of the biggest intersection onin the dead of winter, thinking nobody will notice. To Wendy: you’re right not to trust these trackers. not a fan of chrome. it’s constant pop ups nagging for access to the passwords on my ubuntu laptop forced me to finally uninstall it. I don’t trust google with my keyring. hell no! I use yandex for last 10 years. It used to be light and super fast.. Now it takes almost 1 gig of space to install it and it is an absolute crap.. Very, very slow is the main feature on both: windows and Ubuntu 18.
it is mostly dummy, unintelligent ( oh, well… it’s from russia, isn’t it?) and rules your computer passed decent tolerances. Google Chrome and FireFox would definitely be on this list and also on every browser list. 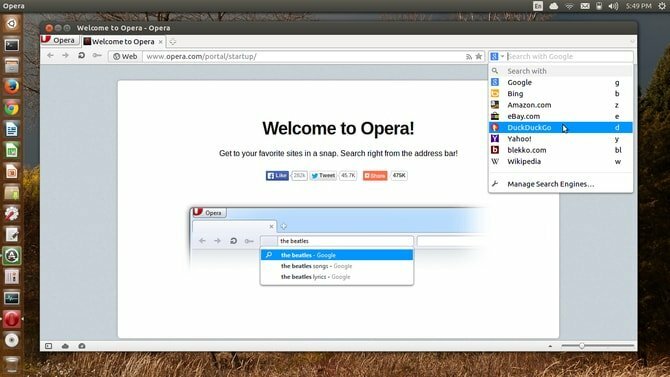 Opera can also be very useful. Wasn’t expecting Yandex to be preferred by so many users. Luakit is the fastest graphical browser. You didn’t mention Slimjet. It is chromium based and has a lot of extra features. Thank you for your Iridium overview. As a privacy-sensitive Web surfer, I now call browsers “trackers”, and while Chromium-based trackers – Chrome, Chromium, Slimjet, Vivaldi, Opera – have a great rep for rendering Web pages, they are among the worst privacy invaders. I’m grateful to you for unveiling a tracker as good as Iridium that’s as private as it gets. Here’s hoping it pans out.